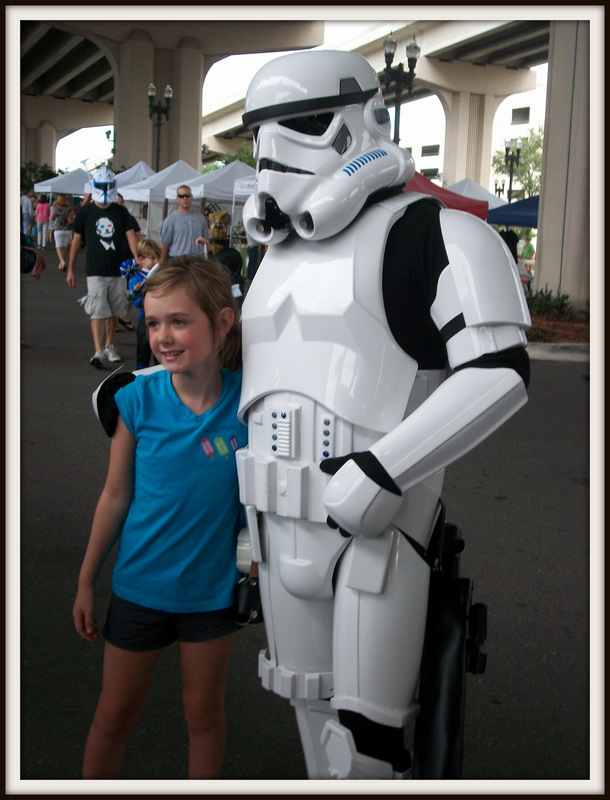 Today was Sci-Fi day at the Riverside Arts market and it would not be complete without the 501st being there. Starting around 10:00 am members of the 501st converged underneath the Fuller Warren Bridge for another exciting day of trooping. Its was not long after everybody got dressed out that we were walking up and down the isle stopping for photo ops and high fives for the kids. This trip my step daughter pitched in as a handler for me and the help was wonderful. To date most of my troops have been with no handler my own lol. I have had help from others but this time I was able to get some photos of myself. The crowd growing every bigger was filled with adults and kids dressed in costumes or just sci-fi swag. Smiles and laughter echoed all around us from underneath that bridge and song from the stage and it singer filled even more of the area. Lets not forget the smell of all the good food that was being sold. after a few hours the heat had taken its toll on me and I headed back to the staging area. I wish I could of done more but I was wiped out. the heat this morning coupled with the humidity made it a tough troop for me. guess I am getting old after all lol. Victoria and I walked around for a bit long so people could get photos of me and even her. After we got back to the staging area I packed up and took my armor to the car and we headed back to the Art Market for some lunch and to walk around to view all the cool things out there. Here is an image that was taking by Craig of Craig Hill Photography. 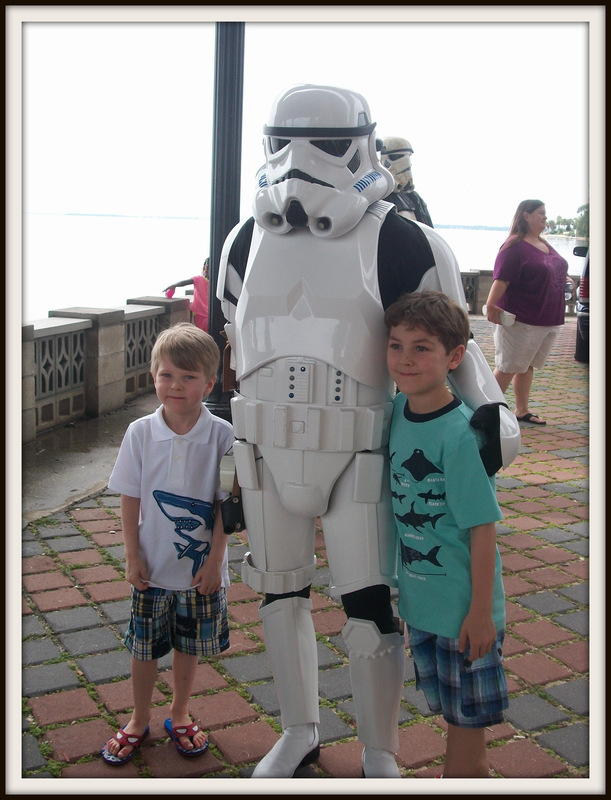 this is a wonderful images of three troopers, I believe I am the out of focus one in the background. This image to me invokes a feeling of star wars. almost like we are planet side scouting the area before we do the deed. 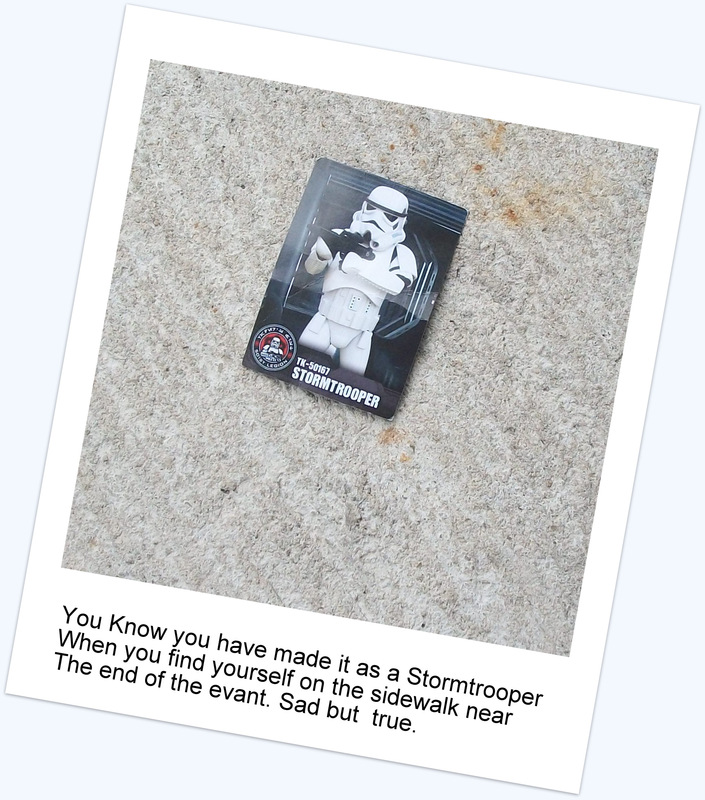 Today on my 16 troop, handing out cards to all the little kids I saw something that one would have to know would come if you do this long enough lol… yep on the way out and heading home I saw one of my trading cards bent and discarded on the gound. Oh the horror!!! No really it was not that bad but it had to happen some day lol. So all an all aside from my body giving way to the heat today we had a good time and troop. I plan to keep on Keeping on so keep an eye out for more posts to come. Reblogged this on LIVE! from Jacksonville!.